Burgundy Leather Cover with Gold Filigree (see 4a below). 1. You and the Universe Hand-Sewn Book: 338 pgs. $995 (currently unavailable). 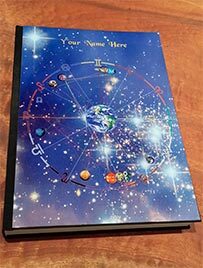 * A beautiful fine art book w/your complete astrology reading based on your birth time, date & place. * Hand-stitched, hand-sewn binding with your name on the cover (for name on spine also, add 4e.)! 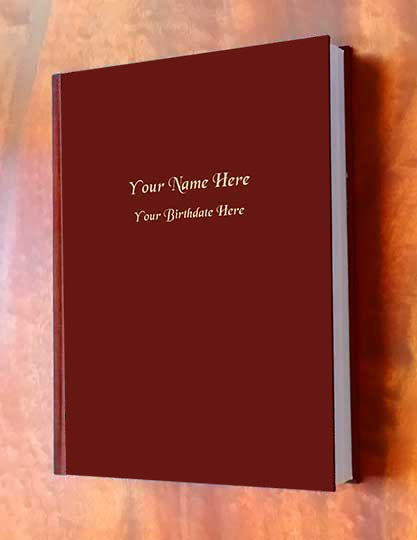 * extra fine, 9" x 12.6", thick, smooth paper with ultra-high resolution photographic images! 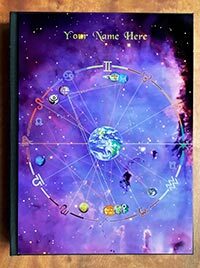 * To see an example of your complete, personal astrology reading in this version, click here. * Your book written, laid out, edited, printed and bound in 3 - 6 weeks depending on backlog. * Campanus House system used unless otherwise requested. * Because each book is personally customized for you, there are no refunds or returns. Fill in all 3 fields below Before "Add to Cart"
2. (currently unavailable}: Deluxe 350-pg. Hand-Sewn Book : $1150. synthesizing the parts and emphases of your chart and added to your book #1 above. * Your book written, laid out, edited, printed and bound in 3 - 7 weeks depending on backlog. 3. (currently unavailable}: Ultimate 350-pg. Hand-Sewn Book: $1295. 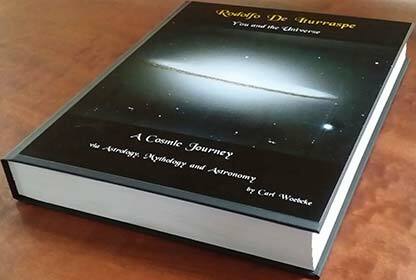 * Your book written, laid out, edited, printed and bound in 3 - 8 weeks depending on backlog. 4a. (currently unavailable}: Burgundy Leather Cover wGold Filigree: +$600. Gold filigree. This cover's spine has recipient's name only. For more art on spine, see 4b. below. * Click the image to the right for a larger picture of this Beautiful Cover. * This cover replaces those of books 1.-3. shown above, right for an additional $600. Fill in both fields below Before "Add to Cart"
4b. (currently unavailable}: Leather Spine Art, name raised bands 4a. or 4c.:+$200. books #1 - #3 in addition to the recipient's name (slipcases shown to the right are not included). * Available only with leather cover options 4a (above) or 4c (below). 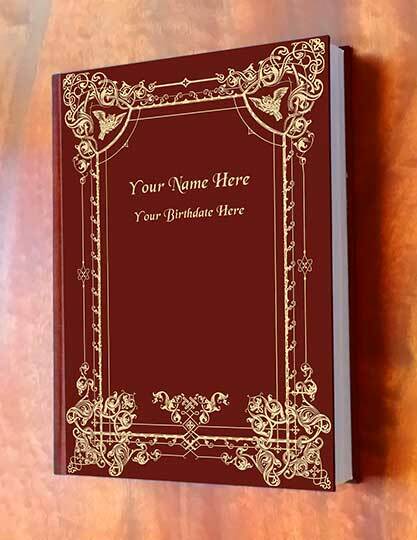 * For leather cover with name only and no filigree art work, see 4c. below. 4c. (currently unavailable}: Burgundy Leather Cover w/Name,B'date 1.-3.: +$350. no Gold filigree. This book's spine has recipient's name only. For more art on spine, see 4b. above. * Name in Gold on cover and spine (select typeface from options other than shown on right). * This cover replaces those of books 1.-3. shown above right for an additional $350. name Gold-stamped in many typefaces, styles, weights, sizes, and upper and lower case! * Your name also in Gold on the Spines of books 1.-3. above, on 4d. or on the five below (see 4e). 4e. 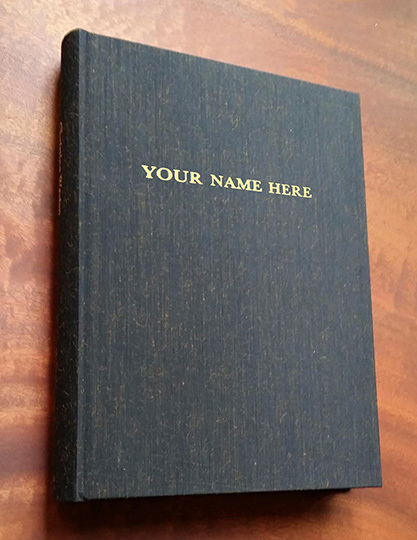 (currently unavailable}: Your Name stamped in Gold on Book's Spine: +$25. * Your name on the Spine of Japanese cloth cover 4d., on books 1.-3. above, or on the five below. (God forbid!) or displayed for all to see; available in many typefaces, styles, weights and sizes! 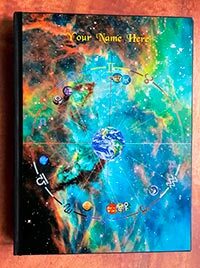 Personalized Book Covers with your own Birth Chart on the Cover for Books 1. - 3. above: +$200. 5. (currently unavailable}: A READING with the AUTHOR: $150. conscious. I am here to give you messages for your soul that can change your life. Readings are from 45 to 60 minutes long at my discretion. 6. 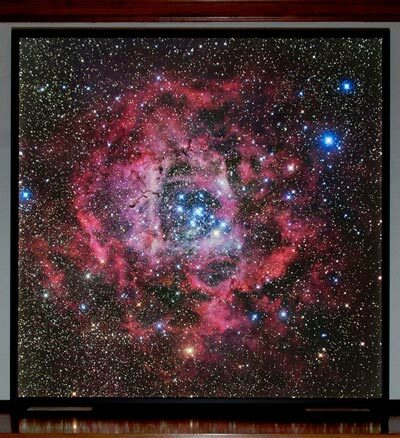 Beautiful high-resolution astronomical photographs up to 4 ft. x 10 ft.
books already ordered for one or both of the people in the relationship. 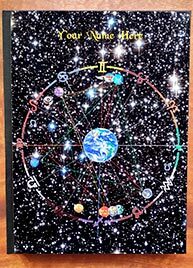 * This reading is a synastric comparison, not the reading of a composite chart. * Add 5-10 business days to the production times for #1., #2. or #3. for this additional item. US Postage by USPS Priority Mail: $15.00 for all books (6+ lbs. ), items 1-3 above. Items 4a and 4b: Shipping is free on the book cover upgrade on any book. Sales tax: 9% for California mailing addresses only. Items 4a.-4e. 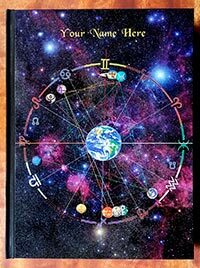 : No additional shipping charge on all book cover upgrades with books #1, #2 or #3.
copyright 1991-2018 Carl Woebcke: Order Page for An Astrology Reading in a personalized, Fine Art Astrology Book. All rights reserved.